What is Certified Grassfed by AGW? 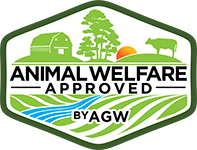 Certified Grassfed by AGW is an optional, additional accreditation for Certified Animal Welfare Approved by AGW (AWA) farmers and ranchers to certify they are also raising animals according to a grassfed feeding protocol. Certified Grassfed by AGW is only available to farms that also meet the existing AWA high-welfare and environmental standards for the species concerned. Why did you launch Certified Grassfed by AGW? 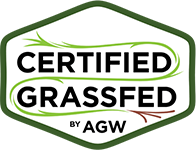 We developed the original Certified Grassfed by AGW standards for Canadian farmers in 2013 following significant consumer and farmer demand in Canada for a label to distinguish authentic grassfed products in a confusing marketplace. Following significant interest from farmers and ranchers south of the border and in other parts of the world, we decided to offer this service across the U.S. — and now globally. How does Certified Grassfed by AGW accreditation compare with other grassfed labels claims? Certified Grassfed by AGW is the only grassfed label claim in the U.S. and Canada that requires farms to provide their animals with a 100% grass and forage diet and meet a range of practical and trusted farm environmental standards and high-welfare welfare standards from birth through to slaughter. What are the benefits of Certified Grassfed by AGW accreditation? Recent research shows that demand for grassfed beef has increased by 25–30 percent every year over the last decade. AWA is already widely recognized and respected as a trusted brand when it comes to farm animal welfare, outdoor access and sustainability. Holding Certified Grassfed by AGW certification proves the meat from your farm or ranch not only comes from animals raised entirely on a grass and forage diet, but that you are also managing them according to the highest possible welfare standards. No other grassfed label can offer producers, retailers, and consumers this breadth and level of integrity and assurance. AWA is also the only farm animal program in the U.S. that is accredited to international standard ISO 17065, adding to our credibility in the marketplace. What does the Certified Grassfed by AGW accreditation require farmers and ranchers to do? To gain Certified Grassfed by AGW certification, you must feed your animals only grass and other forages from weaning onwards. As with non-grassfed AWA certification, you must also raise your animals outside on range or pasture for their entire lives. No growth hormones or sub-therapeutic antibiotics are permitted and all AWA-certified animals must be slaughtered at a recommended slaughterplant. Farmers who wish to apply for Certified Grassfed by AGW accreditation pay a $100 annual administrative fee. We do not charge farmers or ranchers a single cent for auditing services or for use of the label, and all farmers and ranchers in the program have access to a range of technical, marketing and other support services. What species does Certified Grassfed by AGW accreditation cover? Certified Grassfed by AGW Accreditation applies to specific ruminants—including beef cattle, dairy cattle, meat and dairy sheep, meat and dairy goats and bison—whose unique digestive systems allow them to digest grass and other forages to provide all the nutrition that they need. Where can I find the Certified Grassfed by AGW standards? To ensure complete transparency, all our standards are readily available on our website. Before applying please ensure you read both the Certified Grassfed by AGW and the species-specific AWA standards for the livestock you are applying for. 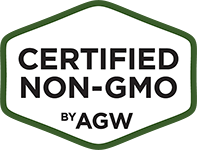 Will there be a different logo for Certified Grassfed by AGW farms? All farms approved in the AWA program can use the AWA logo to promote their farm and products. 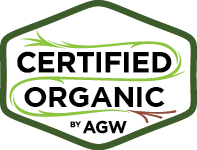 However, farms that meet Certified Grassfed by AGW requirements can use an additional Certified Grassfed by AGW logo (see above) alongside the AWA logo on product labels according to your species. AWA’s Labeling Coordinator can supply the new logo options for your artwork—or even help you to design a new label. Click here for more information. I’m interested: What do I do next? If you are interested in applying please read the standards and then contact the office to determine the next steps. You can reach us at (800) 373-8806 (Monday to Friday 8.30 a.m. EST to 8 p.m. EST) or email us.